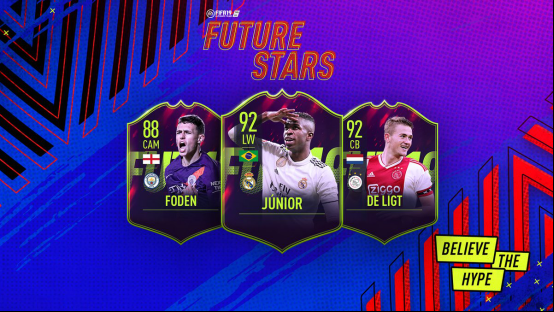 Right after TOTY event, EA Sports has unveiled a brand new promotion for its most hyped series - FIFA 19 Future Stars. A full 23-man squad of these young talents will become available in packs at 6pm (UK time) on Friday, January 18, 2019. What is required to become FUT Future Stars? So far EA has only announced three players, as more details will be released on Friday. Some of the players rating are listed below. How many coins do you think these players will cost? Which player do you want most? Who do you hope to see in the packs? Get ready for a new round of the event by buying more coins at https://www.igvault.com/FIFA-19-Coins!